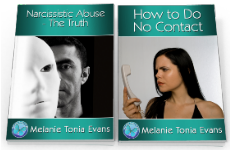 Identify if you are addicted to love, and the steps to break away and heal the painful cycle. Chemical and gambling addictions have society's attention. Relationship addiction doesn't. Addictions are emotion-based. What is more emotionally consuming than a love relationship? It is well known that serious addictions can kill people as well as destroy lives. Relationship addiction can lead to mortality and destruction, and tears apart love of self, life and the relationship to everything in our world. An addiction is a reliance on something for normal functioning. If this object is removed, then a withdrawal shock is experienced. Addiction in its progressive stages creates manic levels whereby the individual repetitively has a compulsion to attach to the source of addiction - despite harmful consequences to their mental, emotional, physical or financial state. Relationship addiction is deadly serious. Females have a greater genetic disposition to fall into the state of addicted love. They tend to more readily glorify their partners and see them as their source of happiness. Such women have not worked on their own identity and learnt to provide their own sense of personal support and power. Women are also more likely to be hooked by narcissistic partners and stay whilst allowing their sense of self to be stripped away, which also leads to the serious state of relationship addiction - often coupled with the effects of severe psychological abuse. Men, however, can also suffer relationship addiction. Relationship addiction is unlikely to play out long term, as it won't be allowed if at least one individual in the relationship is emotionally healthy enough to sustain a successful committed relationship. Generally the players involved have attracted each other as a result of unresolved emotional insecurities. Your days are based on 'what he / she is doing, saying and thinking'. You've lost interest in friends and personal goals. You schedule your life to fit in with his / her life. You go along with what he / she wants even if you don't agree. You begin taking on his / her identity and get involved in things you never thought you would. You often feel anxious, depressed and lost. Aspects of your life are suffering. You crave his / her attention, but enough is never enough even if you feel anxious, upset or abused in his / her company. You're terrified about him / her getting off a phone call or leaving. If he / she shows any level of disinterest you panic. Regardless of how you're treated you can't let go. You admit fault or give in to uncomfortable or unreasonable requests to retain the relationship. You fear emotional and mental survival if the relationship ends. You can't stop yourself from contacting him / her. Your behaviour has reached 'out of control' levels. Addictive love is not healthy love. It's obsession. This is confusing for many people, because they feel it so intensely and think - 'It must be love!' No, it's not - it's a chemical peptide rush that's hooked into your body, and a deep subconscious self-abuse pattern that is playing out in your psyche. This is your body's way of resurfacing past wounds to be consciously discovered and healed. Individuals who suffer relationship addiction often have unresolved childhood issues creating the intense 'pull' in an unhealthy relationship. Generally (subconsciously) the individual is trying to resolve unresolved feelings by attracting an individual who causes the wounds (such as abandonment, distrust, abuse) from childhood to surface again. From a bigger picture perspective, this is a perfect system in order to heal what has not yet been healed - however if we are unconscious to this system the old wounds get ripped open again and the pain is horrific with no end in sight. Recovery is vital. Love addiction eventually leads to demise and even death if not halted - such as institutionalisation, homicide, suicide or death from a terminal disease or accident. Admit you are addicted and need help. Pull away from the source of addiction and make structured plans regarding how you'll reclaim yourself. Belief-system healing sessions (I highly recommend Quanta Freedom Healing). Investing in self-healing programs designed to overcome abuse programs, childhood wounds and co-dependency. Developing your power, interests and personal mission. Processing and healing the emotional issues that led you into painful, abusive and addictive relationships. The development of healthy belief systems, healthy boundary function and healthy self-esteem to eliminate the need to attract or sustain a painful, abusive or addictive relationship. If you are virtually disintegrated as a result of Relationship Addiction, it can be terrifying to break away and take the first steps. This is essential if you wish to heal the painful anxieties and depressions of addiction and work toward creating a great life and healthy relationships. Please note that there are solutions. The understandings of the addiction as well as processes to heal are imperative. 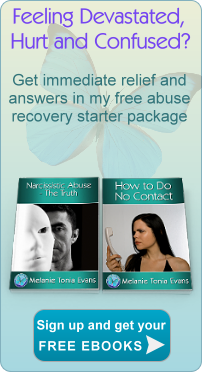 Recovery from the psychological, emotional, mental and spiritual abuse of narcissism is imperative for an individual to put themselves and their life back together. Specific healing and procedures do produce the results necessary for an individual to create an empowered life where they will not be susceptible to narcissistic abuse again. In many cases the recovery from narcissism has been necessary for an individual to outgrow co-dependent childhood scripts of poor boundary function and victimisation. Love, happiness and success are possible after suffering the effects of narcissism. If you're feeling extremely broken, powerless and like you can't take it anymore, you can access powerful help and relief.